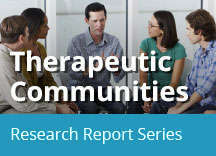 Home » Publications » Research Reports » Therapeutic Communities » What Are Therapeutic Communities? Therapeutic communities (TCs) are a common form of long-term residential treatment for substance use disorders (SUDs). Residential treatment for SUDs emerged in the late 1950s out of the self-help recovery movement, which included groups such as Alcoholics Anonymous. Some such groups evolved into self-supporting and democratically run residences to support abstinence and recovery from drug use (Sacks & Sacks, 2010). Examples have included community lodges, Oxford Houses, and TCs. The first TC was the Synanon residential rehabilitation community, founded in 1958 in California. During the 1960s, the first generation of TCs spread throughout areas of the United States, and today the TC approach (see "What is a Therapeutic Community's Approach?") has been adopted in more than 65 countries around the world (Bunt et al., 2008). Historically, TCs have seen themselves as a mutual self-help alternative to medically oriented strategies to address addiction and most have not allowed program participants to use medications of any kind, including medications such as methadone (a long-acting opioid agonist medication shown to be effective in treating opioid addiction and pain) (De Leon, 2000; De Leon, 2015). 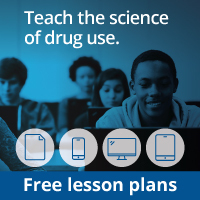 Over the past 30 years, TCs' attitudes toward medications have gradually evolved, reflecting changing social attitudes toward addiction treatment and the scientific recognition of addiction as a medical disorder (De Leon, 2000; De Leon, 2015; Vanderplasschen et al., 2013). A growing number of TCs now take a comprehensive approach to recovery by addressing participants' other health issues in addition to their SUDs, incorporating comprehensive medical treatment (Smith, 2012) and supporting participants receiving medications for addiction treatment or for other psychiatric disorders (see "How Are Therapeutic Communities Adapting to the Current Environment?"). Many of today's TCs are also offering shorter-term residential or outpatient day treatment (De Leon, 2012; De Leon & Wexler, 2009) in addition to long-term residential treatment. TCs have also been adapted over time to address the treatment needs of different populations. During the 1990s, modified TCs emerged to treat people with co-occurring psychiatric disorders, homeless individuals, women, and adolescents (De Leon, 2010; Sacks et al., 2004b; Sacks et al., 2003; Sacks & Sacks, 2010; Jainchill et al., 2005) (see "How Do Therapeutic Communities Treat Populations with Special Needs?"). Also, as the proportion of offenders with SUDs rose during the same period, correctional institutions began incorporating in-prison TCs (often in separate housing units), and TCs are available for people re-entering society after prison with the goal of reducing both drug use and recidivism (Wexler & Prendergast, 2010) (see "How Are Therapeutic Communities Integrated into the Criminal Justice System?"). Initially, TCs were run solely by peers in recovery. Over time and in response to the changing needs of participants, many TCs have begun incorporating professional staff with substance abuse counseling or mental health training, some of whom are also in recovery themselves. Today, programs often have medically trained professionals (e.g., psychiatrist consultants, nurses, and methadone specialists) as staff members, and most offer medical services on-site (Dye et al., 2012; Perfas & Spross, 2007). According to a national survey of these programs, more than half of TC staff members are in recovery (Dye et al., 2012), and many have earned certification in addiction counseling or bachelors- or masters-level degrees.